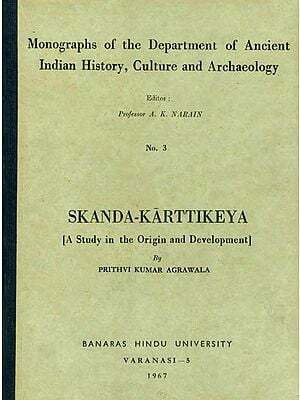 The present monograph contains a brief study of the various facets of Karttikeya Cult which was widely practiced throughout India in early periods and is, even now, quite popular in South India. 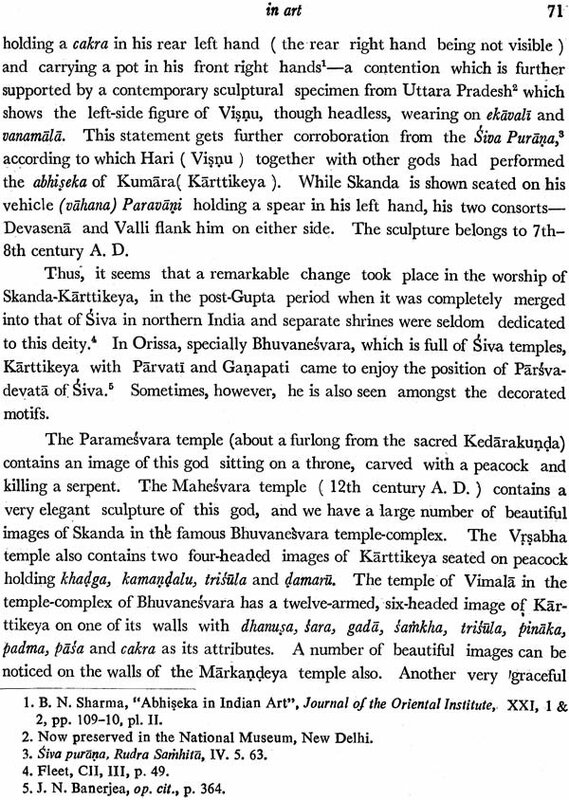 Though known by various names in early literature, Karttikeya does not seem to have been known directly to the Vedas. He is, however, included in the Vedic divinities represented in the form of Vedic symbols, by the name of Kumara who is described as the wonderful hero and leader of the divine army. In the present work, efforts have been made to trace the origin and development of the cult of Karttikeya, materials for which have been gleaned from literature, epigraphs, coins and art-objects. In this connection it is interesting to note that this cult had, in the course of centuries, traveled far beyond the frontiers of India and made a remarkable impact on the religious life of the people in almost all the countries of the Asian continent. Among the gods, he symbolized vigour and prowess par-excellence and his decisive victory over the asuras accorded him a revered place among the gods of Hindu pantheon. 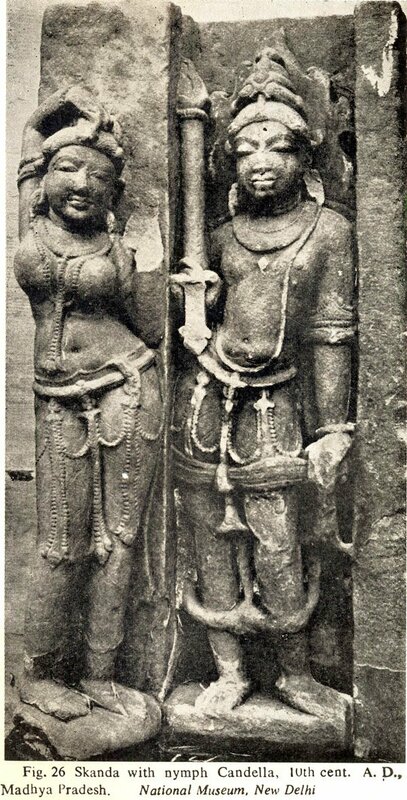 A study of Hindu divinities worshipped in South-East Asia would show that Indian ideas and 'practices passed into those lands almost unchanged and were accepted in their totality. Dr. Upendra Thakur began his career as a college teacher in 1956 and is now working as University Professor and Head of the Department of Ancient Indian and Asian Studies in the University of Magadh, Bodh-Gaya (Bihar). He received higher education in the University of Calcutta and did his D. Phil, thesis there. He also served as lecturer in the universities of Gorakhpur and Patna for more than seven years. In 1969 he visited Yugoslavia under Indo-Yugoslav Cultural Exchange Programme of the Government of India to deliver a series of lectures on different aspects of Indian history and culture in the University of Zagreb and other universities of Yugoslavia. He also visited Russia and other countries of Europe. Dr. Thakur was invited to deliver a series of lectures in the Mahachulalongkorn Royal University at Bangkok which he visited in October-November, 1972. He also visited Laos and other countries of South East Asia in the course of his lecture-tour. He again visited Thailand to attend Seventh Conference of the International Association of Historians of Asia in Bangkok in August, 1977 as an invitee scholar. In August, 1979 he was invited to participate in the International Conference on Indian Ocean Studies in Perth, Western Australia, and in August, 1980 he visited Kuala Lumpur to attend the Eighth Conference of the International Association of Historians of Asia. Dr. Thakur has published several books and more than seventy articles including History of Mithila, History of Suicide in India, Studies in Jainism and Buddhism in Mithila, The Hunas in India, Mints and Minting in India, Some Aspects of Ancient Indian History and Culture, Homicide in India and Corruption in Ancient India. Dr. Thakur is associated with many learned bodies in India and abroad. He is Chief Editor of the Journal of the Bihar Research Society and also Vice-Chairman of the Bihar Research Society, Patna; General Secretary of the Numismatic Society of India and President of Section IV (Countries other then India) of the Indian History Congress for the year 1978. He also worked as Panel Chairman of the Seminars on "Relevance of Buddhism in the Contemporary World" and "Buddhist Meditation and Devotion" organized on the occasion of the Third and Fourth International Buddhist Conference; sponsored by the International Buddhist Brotherhood Association, Tokyo and Bodh-gaya in 1978 and 1979 respectively. He was awarded Akbar Silver Medal by the Numismatic Society of India in 1979 for his outstanding contributions to numismatic studies. Dr. Thakur is also a member of the internationally famous Explorers Club of New York. The study of Karttikeya, the war-god, in his various forms is quite fascinating, and since early times he has been widely popular in South India which preserves a large .number of temples of this deity where people throng daily to offer worship. Several scholars have contributed to the various aspects of. 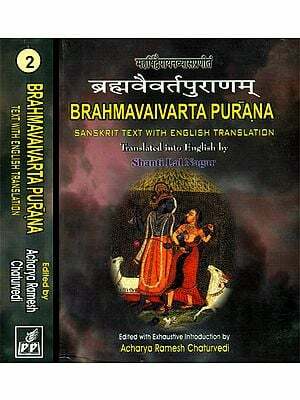 the worship of this god, and the present monograph also is an attempt to trace the evolu- tion and development of Karttikeya cult on the basis of materials culled from various literary and archaeological sources. 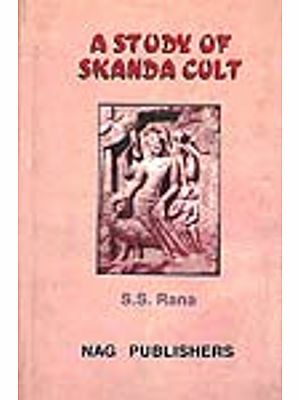 For the first time, however, a serious attempt has been made in this monograph to throw light on the popu- larity of this god beyond the frontiers of India which makes a very interesting study and enlightens us on the importance of this cult in those countries. I am grateful to the editor of the East and West, Rome wherein the pre- sent monograph in its brief form was published in 1974. My thanks are also due to Dr. B. N. Sharma, Keeper, National Museum and Dr. Md. Aquique, my former student and now colleague in the department for having prepared the index. 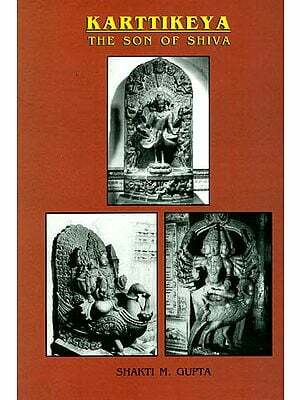 The proprietors of Chaukhambha Orientalia, Varanasi, deserve my thanks for having taken interest in the publication of this book. I crave indulgence of scholars for any error of judgment that has crept in the book .